Whether you read a book a week or you only read when you have to write a English paper, everyone has moments when they struggle with actually wanting to read. Call it reader’s block if you will. 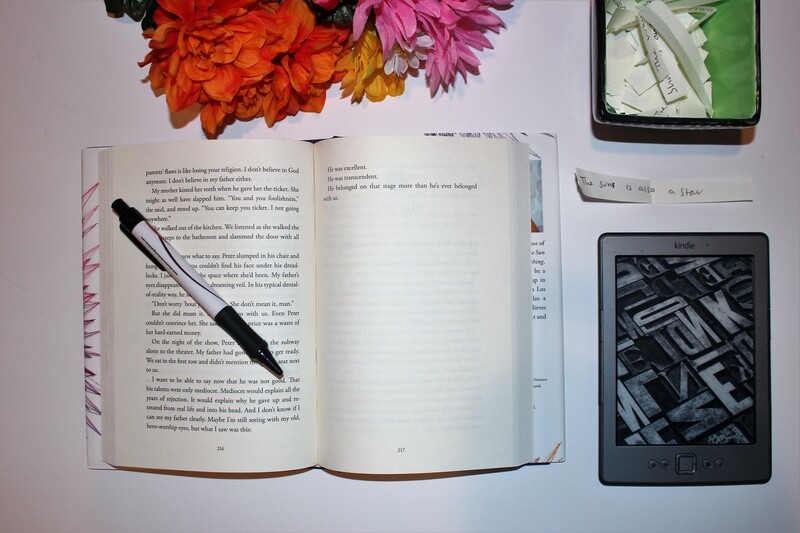 I know I’ve struggled with it myself, so I decided to write about five hacks to help you keep reading, become a better reader, and even how to find it more enjoyable. Be sure to let me know what you think of these hacks in the comments, whether they work for you or if you have any more ideas! This is something I live by when I read, and I’m so glad I do. Having a pen with you not only helps with annotating and remembering characters and literary devices better when you need to read a book for school, but it also creates a sort of conversation with the author. Some readers are advocates against writing in books, and I understand that because it does take away from the pristine condition your book is in when you first get it. If you are one of those people and you still have thoughts or comments when reading that you want to remember, try sticking a Post-It pad to the inside cover of your book and pulling off a sheet to stick on a page when you feel like writing something down. I just think that no matter the type of reader you are, having a pen with you makes it so much more fun to read. I underline my favorite quotes, I write little comments when I love or hate something, I make predictions and I ask questions. This helps you become a better reader because you recognize patterns more easily, and you can kind of have a banter with the characters…It’s an inclusive way of reading. But most of all, I really like reading with a pen because when you re-read a favorite book or let a friend borrow something from your library, there’s a constant piece of you with it. You can remember what it was like when you first read a book, your friend can see what you were thinking at that one plot twist. So, first reading hack: always read with a pen, it makes you a better reader and it makes reading more fun. If you are like me, you constantly have at least five books you want to read and you can never choose which one to start first. To come up with a solution to spending too much time choosing a book, I made a TBR Jar. In a little jar, I put little slips of paper with all the books I own that I still haven’t read. When I want to read a new book, I just choose a slip from the jar and that’s the book I go with (unless I reaaaally want to read another book first). Not only does this save time with me choosing which book from my TBR pile to read, but it also randomizes the genre of book I read. By including classics I haven’t read yet with YA novels and other random books, it enables me to switch it up every now and then. This is especially helpful because sometimes I can get stuck on a genre and read only fantasy books for months, while leaving all other genres to get dusty on my bookshelf. I’m really glad I thought to do this because I’ve really enjoyed the process of choosing a new book a lot more than I used to. It also helps you keep track of how many books you have read and how many you still need to read. Once you pull a slip out of the jar you can save it in another area if you want, which keeps track of both the books you’ve read, say in a month, and you can also count the remaining slips to challenge yourself on how many to read the next month. It can be hard to focus on reading with the constant distractions life throws at you. If a TV is playing in the background, if you have little kids around you, it is definitely hard to read when there are so many other things going on. I find that having a designated reading spot really helps me focus on reading instead of my surroundings. The spot you go to is different for everyone. For me, it’s just going to a chair in my room. For others, it can be anything from going to a coffee shop, reading in bed, in the kitchen, basically anywhere you want so long as it’s a quiet place you really feel focused in. If you find a comfortable spot for you to read in, it actually really makes you want to read a lot more. Instead of constantly needing a break from reading because of life’s other distractions, you take a break from life’s distractions to read. 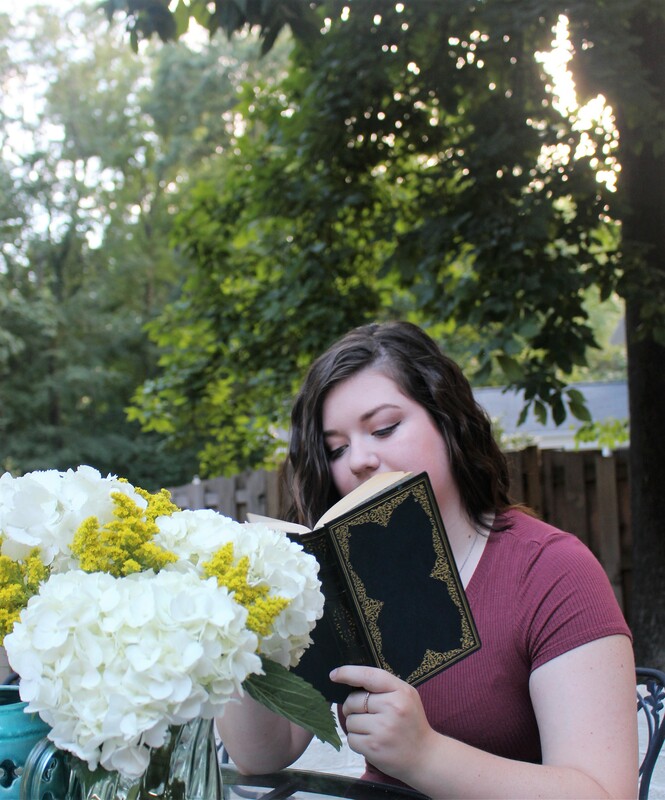 This reading hack is one of my favorites because I really just enjoy having a spot to retreat to, where it’s quiet, so I can settle down with a great book. There are so many options with how you choose to read now that it breeds many different types of readers. There are e-readers, audio books, and the good ole dead-tree books. With these options to choose from, you can definitely prefer one over the other. I suggest you try them all out because you might strongly prefer one that you haven’t really considered before, especially if you don’t read often. For me, I know I prefer printed books. Having a physical copy is important for the way I read. But others read differently. I know plenty of people that prefer e-readers because they are small and easy to take with you everywhere. I know people who only listen to audio books because they absorb more audibly than visually. And there are people like me, who really value the old-school printed version. One form of reading isn’t better than the other because they all change based on the type of reader you are. The best way to become a better reader is finding which form of reading you like the most. If you are really an auditory person, picking a printed book won’t really encourage you to read. If you want, try all three forms (who knows, maybe there are other forms out there too) because you might be surprised by which way of reading you like the most. Having a book with you at all times is truly the best way to become a better reader. You never realize how much downtime you have in a day until you are waiting for a doctor’s appointment, taking a subway, on a long car ride, etc. Instead of scrolling through Facebook for the third time, make sure you have a book with you so you can read instead. Taking the time to read instead of spending time on your cell phone or listlessly staring at the wall really adds a lot more reading time to your day, to your week. It’s easy to carry a book with you in a bag, to keep one in your car, or even to have a reading app on your phone. If you make the effort to always have a book with you, you will find reading becomes a lot easier and your wait times become a lot shorter. With that hack, you have reached the last advice I have for you right now. Hopefully, this was helpful to you because I know doing a lot of these things has helped me become a better reader myself. Who knows, maybe I’ll be back later with even more ideas on how to keep improving your reading. I’m with you on reading a) in hard copy; and b) with a pen in my hand! Thanks for the other hacks, too!